The leaked documents from Bermuda-based global offshore law firm Appleby and Singapore-based Asiaciti, published by the ICIJ, revealed offsore investments by the high and mighty across the world. 714 Indian individuals and entities named in the 'Paradise Papers'. New Delhi: A multi-agency group (MAG) probing the Panama Papers leak will look into the 'Paradise Papers' on financial holdings abroad that list a number of 714 Indian individuals and entities, official sources said today. The sources said the MAG, constituted in April last year to investigate the legality of money stashed in offshore entities by Indians named in the Panama Papers, would probe the latest disclosure made by the International Consortium of Investigative Journalists (ICIJ). The MAG comprises officials from the Central Board of Direct Taxes (CBDT), the Income Tax Department, the Enforcement Directorate (ED), the Financial Intelligence Unit and the RBI among a few others. 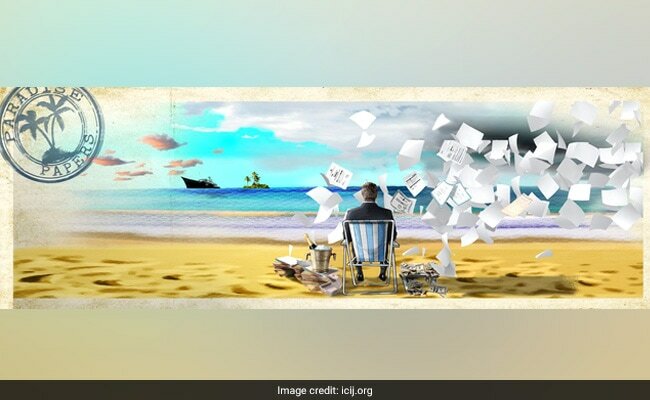 The panel will first "go through" the details of income tax returns filed by the 714 Indian individuals and entities named in the 'Paradise Papers' and subsequently take action, in a case-to-case basis, the sources said. "Obviously, notices will be issued once complicity of an individual or entity is established," a senior official said. The investments appear among a leak of 13.4 million files from the two firms and company registries of 19 tax havens. The vast leak of financial papers has details on 180 countries. India ranks 19th in terms of the number of names. The mention of names of the list does not mean that such entities have indulged in stash funds or have generated black money without paying due taxes.